Spring has been good to Fight Republic. The past month has seen healthy growth for Coach Jerson Estoro's Boxing program and the gym has expanded its schedule as a result. With a surge of new members trying Boxing for the first time, Jerson has some thoughts behind the sudden popularity. "Treadmills are boring!" Jerson says with a smile. "I think more and more people sign up for a traditional fitness gym for the New Year, then in Spring they see it's not what they need. It's lonely, they don't stay with it. When you join a Boxing class you're getting instruction, motivation, you're skill building and also you're part of a team. We have a club here. You look around and everyone is friendly. The members help each other learn, help each other to meet their goals." Fight Republic will play host to the Shuangjing Showdown Match Up Sparring this Sunday. They'll be setting up a floor ring to give sparring candidates a taste of the squared circle. Muay Thai fighters come at 1pm, Boxers at 2pm. The Chinese New Year holiday is over and with just under seven weeks until Shuangjing Showdown, potential Boxing and Muay Thai fighters are training hard. 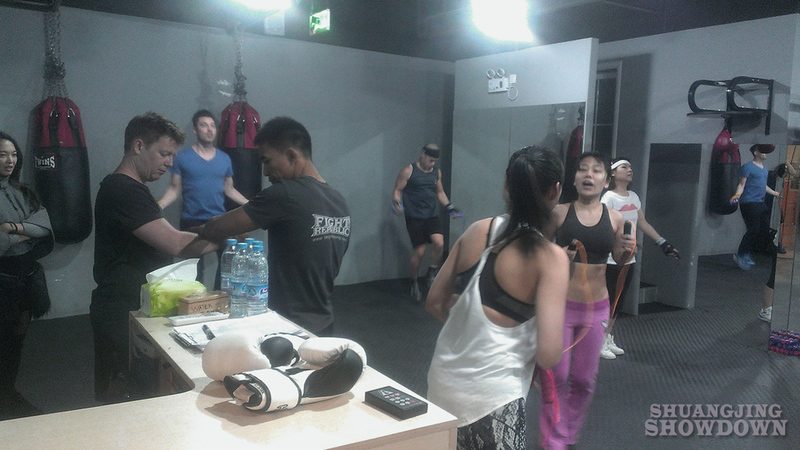 At B Active, Coach Sean Wright is back in Beijing and has taken over Boxing and Muay Thai classes. Coach Tommy Young is headed back to Scotland and will return to Beijing in a few months. Sean has wasted no time in reintroducing his "death by burpees" to the group classes. That third helping of holiday dumplings probably wasn't a good idea. Over at SOHO Shangdu, Fight Republic is buzzing as the gym has reopened after a long winter break. Coach Jerson Estoro is hard at work getting his boxers ready and may be joined by a second full time trainer in the coming weeks. 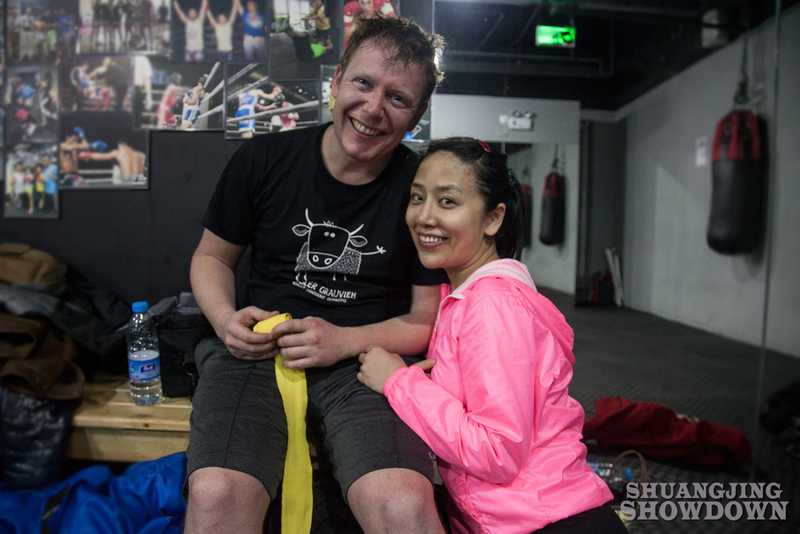 For more training updates and photos from Beijing's best combat sports gyms, watch this space!